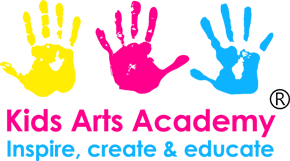 Welcome to the Kids Arts Academy Online Booking System. Once you have created your account and validated your email address, you can use this system to check the availability of activities or make bookings for your children. We accept payments by Credit / Debit Card, Bank Transfer or Childcare Vouchers. We are a fully inclusive club, however to ensure that all children receive the appropriate care and attention it is essential that we are provided with any information about children attending the club with SEN prior to their arrival. We require notification of SEN such as ASD, ADHD, dyspraxia and Down’s Syndrome. We work alongside SNIPS ( Special Needs Inclusion Playcare Service) who provide funding for children with SEN to attend our club, they work directly with families and also provide us with a small contribution towards staffing costs, which is essential for us to be able to afford to provide additional support for children with SEN. If your child has SEN, please email bookings@kidsartsacademy.co.uk to proceed with your booking and access this funding.